Seller is making a huge price reduction for compensation so the Buyer can make structural improvements following closing as desired. Nice home on the West edge of Winfield. 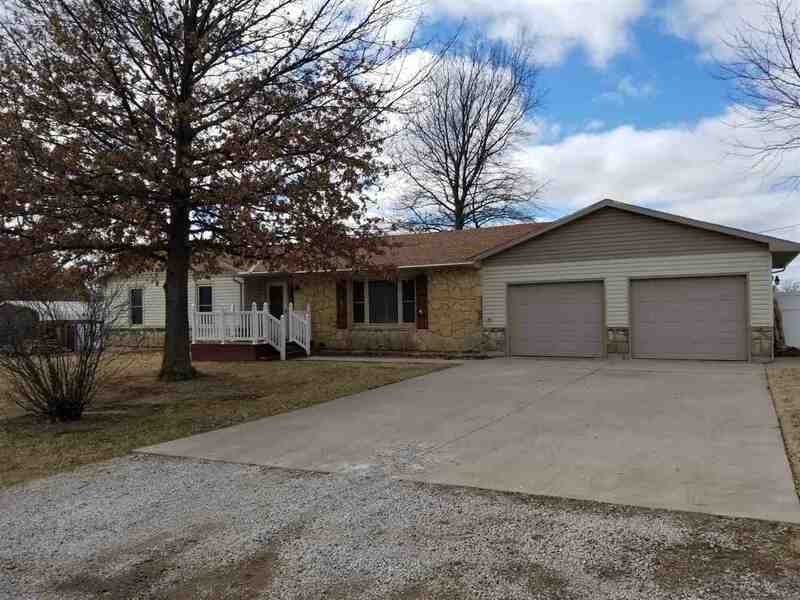 Home boasts 3 bedrooms, 2 baths with large living room and eat in kitchen. Master bedoom has 2 closets with en suite (shower only). Seperate laundry room on main level with sink and large closet. Dining area has sliding glass doors which lead out to the covered deck. Finished basement with office (could be used as a non-conforming bedroom, if needed). Larger fenced yard, covered deck, oversized 2 car garage plus a carport and a 14 x 24 workshop with electricity. THIS PROPERTY IS BEING SOLD AS-IS. Don't delay - call me for your private showing today!